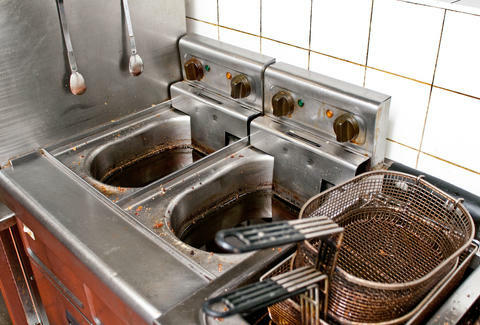 Being a restaurant health inspector, you’ll undoubtedly run into some pretty grotesque situations. Remember, just because a restaurant’s food is adequate, doesn’t mean there isn’t some egregious health code violation lurking behind closed doors. But still, this disgusting parallel universe is largely unknown to the casual consumer happily eating french fries at a gas station Arby’s. Luckily though, a Reddit thread queried health inspectors to share the worst violations they’ve ever witnessed on the job, and the results are gag-inducing, if not a little bit eye-opening. Note that not all stories come from health inspectors, per se, but from kitchen staff and food industry employees. This is a good thing, given that they see some of these horrors before inspectors get the chance to. Comment from discussion Health Inspectors of Reddit, what's the worst violation you've ever seen?. This guy's favorite Chinese restaurant was (conveniently) raising chickens in the ceiling of its building. The restaurant was shut down after the dirty birds started raining poop down onto the food from above. A nightmarish story from rural Australia saw a health inspector encounter a dead cat at the bottom of a deep fryer. Yes, an actual pet cat, lodged in the bottom of a deep fryer, completely fried like an onion ring. For days. A restaurant ran a great special on lobsters that lay scattered across a highway no less than 24-hours earlier. Road Lobster, for $19.99! What a deal! When an enormous tarantula does pest control for kitchen staff. Totally normal, totally fine. If these stomach-turning stories aren't enough for you, punish yourself explore all the germ-infested gems by reading the rest of the Reddit thread.